Founded in 2015 by Cobie Loubser, the foundations of the practice are built on Cobie’s expertise and those of his highly reputed team. Cobie himself has been practicing for over 20 years within the Eastbourne area. 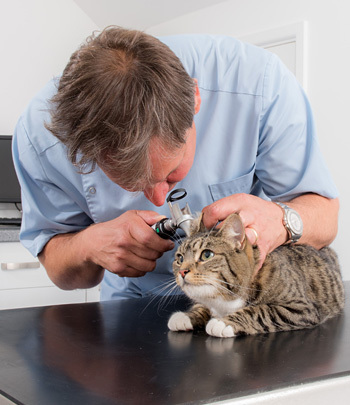 In 2015 he decided to create the only single vet practice in the area, bringing with him a team of specialists for any referrals, all well-renowned in their fields. To this end, we are able to treat the vast majority of conditions onsite. It was his love of animals and comfort in their companionship which led Cobie to go into veterinary medicine, and what drives him to this day. The surgery was set up with the aim of providing exceptional facilities under one roof in the heart of Eastbourne, along with the care and compassion of a team who simply love animals. We’ve invested heavily in technology to enable us to offer the very best in equipment and medicine. So whether it’s a general health check or something more serious, we are able to offer the best service and see them back on the road to full health. Why not come along and see our shiny new practice for yourself? Feel free to pop by or give us a call on 01323 646329 to book an appointment. Founded in 2015 by Cobie Loubser, the foundations of the practice are built on Cobie’s expertise and those of his highly reputed team. Cobie himself has been practicing for over 20 years within the Eastbourne area. We also have a 24 hour emergency service.